Delayed to 2019, unsurprisingly. No Vita. Jesus with these constant delays. So that actually looks a lot better than the initial stuff. To me at least. Still, coming out a good 6 months+ sooner than I expected. 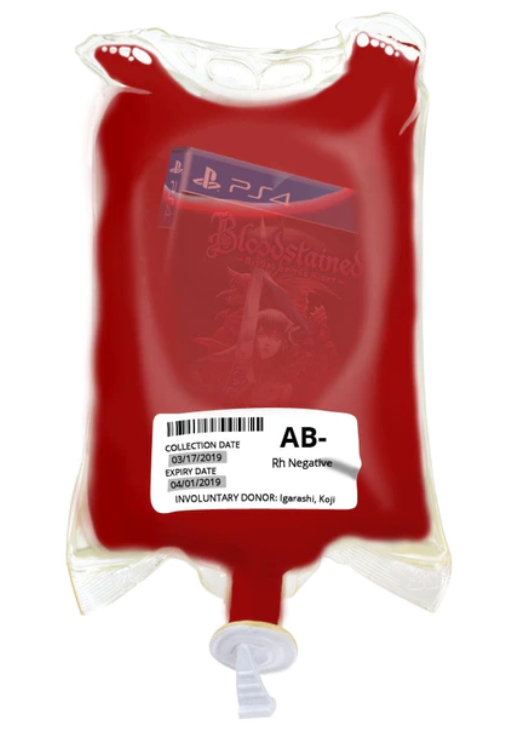 - 505 Games and ArtPlay accept no liability for any damages, injuries or loss of profit due to misuse of the Bloodstained: Bloodstained edition—including but not limited to transfusions, ingestion and attempting to use the game disc. - Blood processing services provided by Dr. David Chang. - Blood type may or may not be accurate. The brand manager forgot to ask IGA what his blood type is. Bloodstained: Bloodstained Edition will be available Summer 2019. Last edited by slop101; 04-01-19 at 03:42 PM. I pre-ordered this for Switch. Limited Run Games just closed pre-orders for Curse of the Moon too. Got that on both Vita and Switch.